Spatial mismatch, gender inequality, and sexual harassment are the main barriers to women’s mobility in Brazilian cities. And when women’s access to the city is limited, it impacts directly on liveability for pregnant women, infants, toddlers and caregivers. According to the research organisation IPEA, Brazilian women work an average of 7.5 hours more per week than men. They spend 25 hours a week doing housework, while men work only 10 hours a week on this type of activity. The lower their income, the more unequal is the time women spend doing caregiving and domestic chores to support the functioning of the household. A typical day for women involves shorter, more frequent off-peak chained trips, at varied and scattered times. Across the board in Brazil, women make these trips more by public transport and on foot. In São Paulo, the Origin and Destination Survey of 2012 reveals that 74% of the daily trips made by women are on public transport or walking, against 62% of trips by men. And only 13% of daily trips made by women are by private automobile – half of the 26% figure for men. For lower-income women, 50% of trips were made by walking and 28% by bus. Among more affluent women, only 16% of the trips were made by walking. Although caregivers are relevant public transport users, the system is designed to prioritise peak-time home-work travellers, with fixed origins and destinations. Mobility planning remains blind to caregiver needs, as they do not cater to people making off-peak time journeys with many origins and destinations, often with constrained mobility. In 2018, the Institute for Transportation and Development Policy (ITDP) in Brazil conducted a study to explore how low-income, black women from the periphery of Recife access the city. Recife is the third-densest city in Brazil. The study presents a new approach presenting cross-data gender-responsive indicators and intersectional analysis. Access to public day care facilities is the number-one priority set by women, according to the study. Although children from 0 to 3 years are entitled to public day care by law, only 19% of 0-3-year-olds have access to such facilities in Brazil. Fifty-five percent of Recife’s neighbourhoods do not have any public day care centres. Since most childcare functions are performed by women, these trips significantly impact their mobility. Not all of them can afford the fees charged by private day cares or the financial and time costs involved in traveling to public facilities. Long waits for the bus at stops with no amenities is challenging for the average rider, and worse for parents with babies and toddlers. Operation hours of the few existing public day care facilities are not consistent with working hours, nor do they accommodate commuting time. Expanded services, flexible and better-integrated fares, more welcoming infrastructure and streamlined services are crucial to ensure mobility of caregivers, babies and toddlers. Interviewed women also declared they would choose bicycles as the mode of transport to perform daily tasks, such as taking children to day care, going to primary healthcare units and shopping. Bicycles could meet women’s practical interests and needs too, making their lives easier and saving time and money on commutes. A bicycle carries three or four times the weight, goes as far and travels twice as fast as a person walking. It has low level of maintenance, and low procurement and operating costs. Bicycles can be used on local and low-quality paths by broad segments of the population. It could also serve as a complementary mode of transport for longer journeys. However, data analysis showed that only 15% of public day care centres, 11% of primary healthcare units, and 19% of rapid transit stations are within 300 meters of the Recife’s cycling infrastructure – that is, bike lanes. 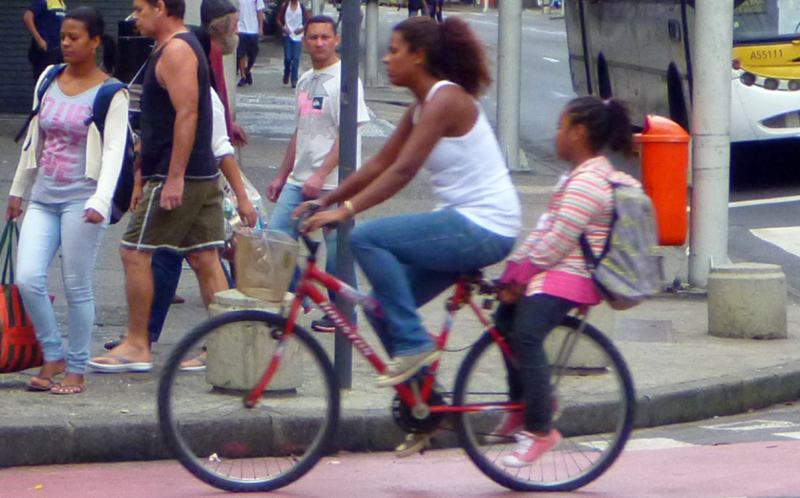 Outside of neighbourhood streets, it can be very dangerous to cycle in Recife, and most Brazilian cities. As a result, the construction of cycling infrastructure can have a big impact on increasing the attractiveness of cycling, especially for women. 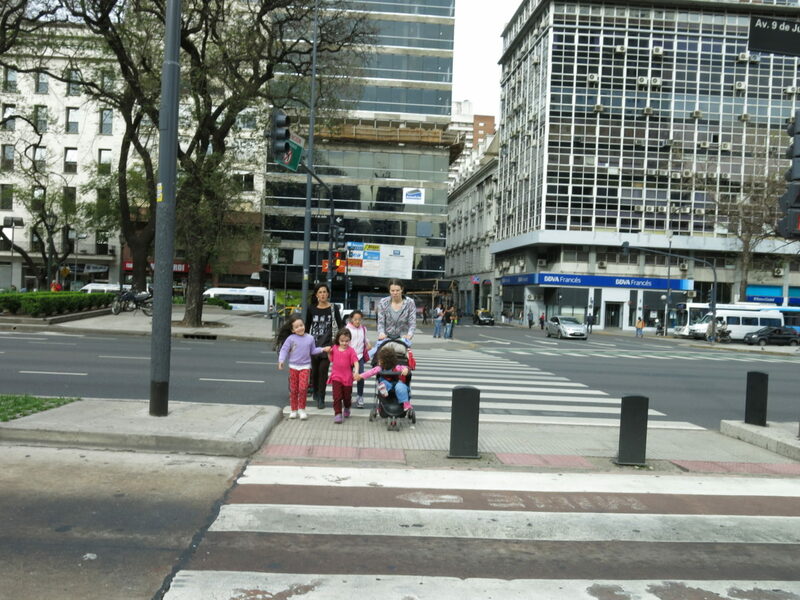 In São Paulo, for example, monitoring data from Ciclocidade found a dramatic increase of women cycling when there is new infrastructure: in Eliseu de Almeida Avenue, a bike lane led to a 122% increase in total cyclists and 1,444% in women cyclists; in Paulista Avenue, the equivalent figures were 188% and 1,004%. After assessing the coverage provided by the cycling infrastructure for different income brackets in Recife, we observed that the percentage of people who earn at least three times the minimum wage who live near the infrastructure is three times higher than the percentage of people who earn less than half the minimum wage. This distribution shows that Recife’s cycling infrastructure currently provides a better service to higher-income neighbourhoods, even though close to 77% of cyclists in Recife earned less than twice the minimum wage. Finally, women live daily under harassment conditions. ITDP Brazil’s focus group research shows that for women in Recife, harassment is a major part of the public transport experience. A survey from ActionAid shows that 86% of Brazilian women were harassed in public spaces and 44% on public transport. Despite the high number of occurrences, only 4% of women in Recife reported harassment cases. Among various causes, most harassment cases may go unreported because frequently police officers are the offenders. Close to 80% of women in Recife declared they have been harassed by a public security agent. Sexual harassment and gender violence are a constant in the lives of those women in large cities, affecting and limiting their mobility. Women might change their route because they are afraid in a street without proper lightning. They might opt not to go out in the street in the evening because they are afraid of being harassed. Alleys, squares, and bus stops are considered the most insecure spaces by women. Insecurity feeds fear and fear feeds insecurity. There is a growing lack of trust and confidence in public space. Enable progress with funding, education, and outreach to achieve inclusive sustainable mobility. The New Urban Agenda adopted at Habitat III (Quito, 2016) has provisions to make inclusive cities a reality. Among them is the promotion of sustainable urban mobility that is age and gender responsive, is accessible to all, and increases participation in a city’s social and economic activities. Time has arrived for change. 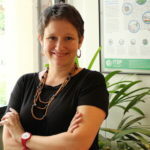 Author: Clarisse Cunha Linke, Brazil Country Director, Institute for Transportation & Development Policy (ITDP). Clarisse is a Brazilian involved in planning and implementing social policies and programmes since 2001, with experience in Brazil, Mozambique and Namibia. She holds a Masters in Social Policy from the London School of Economics and Political Science. From 2006-2011, she was a Director at the Bicycling Empowerment Network Namibia (BEN Namibia), where she played a key role in the expansion of BEN Namibia’s activities, helping it develop the biggest community-based enterprise bicycle distribution network in sub-Saharan Africa. In 2010, she was awarded by Ashoka Changemakers in the “Women, Tools, and Technology” Challenge. 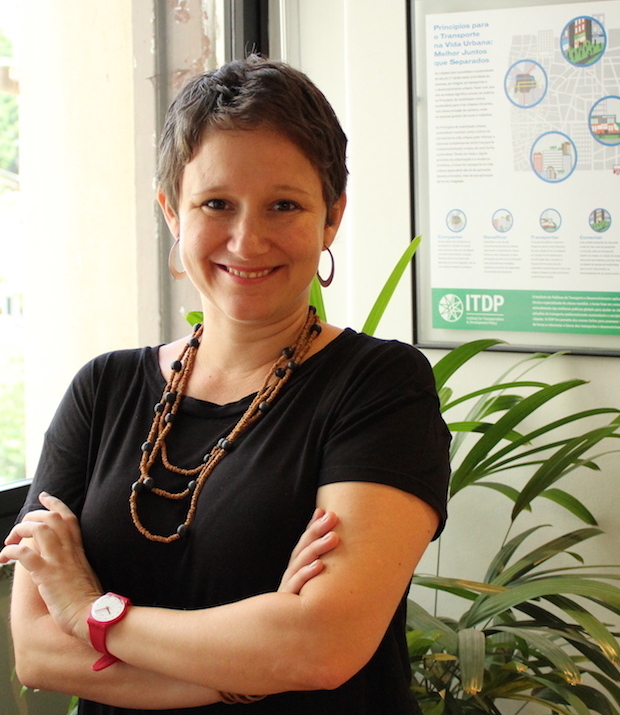 Clarisse joined ITDP Brazil in 2012.